This formation represents the fecondation process. 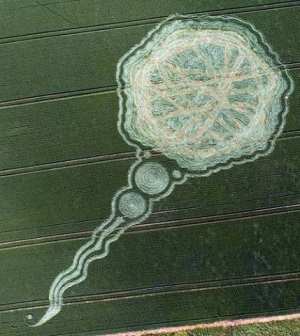 It reminds us of the holy moment of fusion of the two DNA and of the sacred creation of a new DNA frequence. The sacred creation of God. It helps people who have had an abortion or sexual manipulation, IVF or cloning. This essence connects us to the earth as well as to the spiritual. It helps us to remain centered and conscious, to overcome fear and to trust in God. 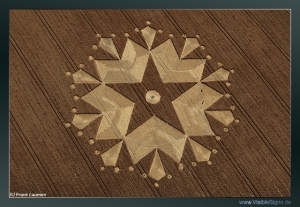 This crop circle has a purifying effect on old patterns. It helps recognize that everything arises from the love of God and to respect the principles of the holy creation and to let go of old habits and limitations of thinking, it clears the way for a new consciousness. 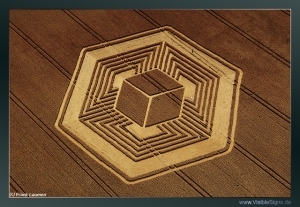 All growth, all life from the smallest to the largest structure is based upon the blueprint of Gods creation. The essence helps us to find our position therein, to orient and integrate ourselves in life. 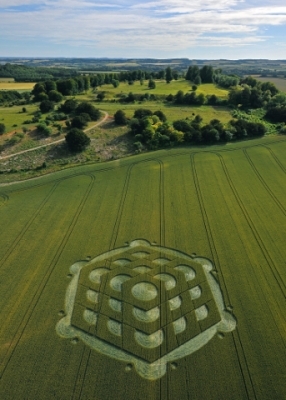 A crop circle with a pentacle. Helps humans to be in their center, to find silence. And from this inner silence we go into our activity and thus can tap the full potential. Has a highly grounding effect. 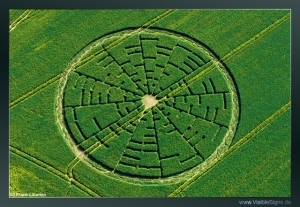 A formation in rapeseed next to a windmill. 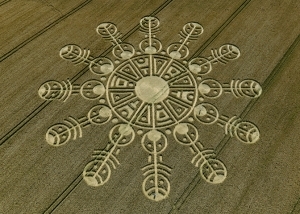 The essence is connected with the aspect of time and the cosmos. It helps us to realize how important it is - especially today - to attend to our food and to protect the basis of our life. 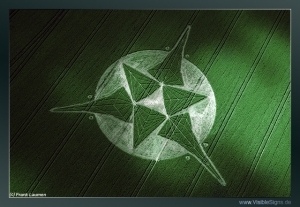 It connects with cosmic events and helps to integrate them. The essence of creative power, has a positiv effect on textures, cells, cell renewal, healing processes. It has a strong energetic effect on the third eye and on our resonance with the environment. Formation next to a monument from the Iron Age. Helps release old schemas, recognize inflexible behaviour patterns, to let go of them and release them. 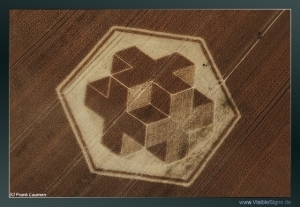 Old structures may leave for the benefit of new thought patterns. 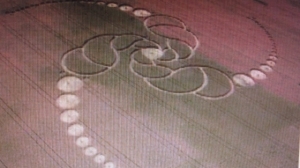 The crop circle shows a threedimensional structure. It helps manifest clear, healthy structures. A male energy, which creates a clear order and gives orientation. On the cellular level it helps the growth of new healthy textures, on the emotional level it helps for a good integration into structures and on the spiritual level it gives the ability to align oneself with the divine structure of life. Everything is part of one great wholeness. Like top, like bottom. 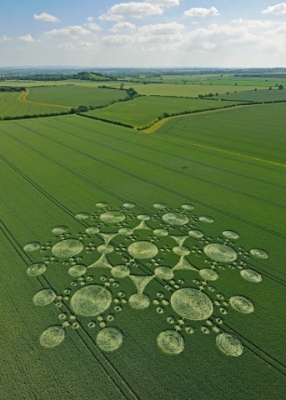 Everything is interconnected. We learn, that with the change of our personal consciousness the entire energy field is changed, how from the individual after time the collective consciousness is transformed. Like a drop in the ocean.